Bards Well in Stratford-upon-Avon, Warwickshire sleeps 3 people. 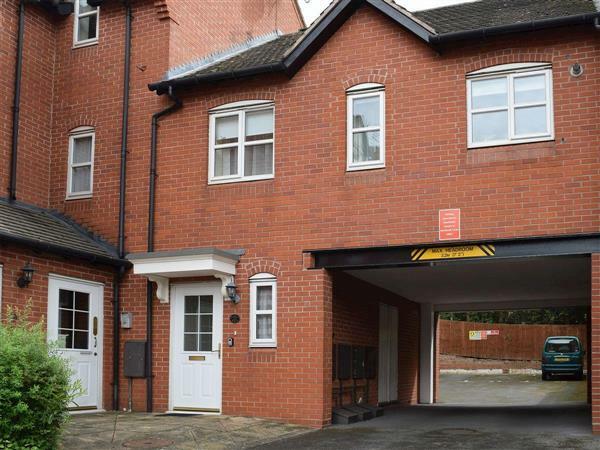 Excellently located in a peaceful setting right in the heart of Stratford-upon-Avon, this modern adjoining holiday cottage is comfortably furnished and is tucked away in a small courtyard just 7 minutes’ walk from Shakespeare’s birthplace and 10 minutes from the station. Walks can be enjoyed along the banks of the River Avon, whilst the town offers historic buildings and cultural interests, plus excellent shopping, pubs and restaurants. An ideal base to explore the beautiful surrounding countryside of the Vale of Arden, the Cotswolds and the Malvern Hills. Other attractions include Warwick and Kenilworth Castle along with several National Trust houses and gardens. Entrance hall. Separate W.C. First floor: Open-plan living/dining-room with sofa bed, electric ‘wood burner’ and modern, fitted kitchen area. Double bedroom with en-suite shower room/W.C. For a better idea of where Bards Well is, you can see Bards Well on the map below. Bards Well is in Warwickshire; should you be on the lookout for a special offer, you can find all the special offers in Warwickshire. It's always worth checking to see what is on offer at the moment. Do you want to holiday near Bards Well (RZ7), you can see other cottages within 25 miles of Bards Well; have a look to find your perfect holiday location.